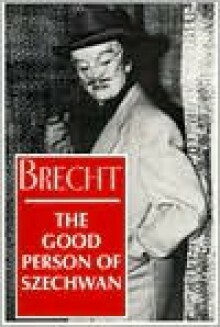 The authorized, definitive editions of two of Bertolt Brecht's most enduring works The Good Person of Szechwan is one of Bertolt Brecht's most popular works. When three gods come to earth in search of a thoroughly good person, they encounter Shen Teh, a goodhearted but penniless prostitute, who offers them shelter. Rewarded with enough money to open a tobacco shop, “Angel of the Slums” Shen Teh soon becomes so overwhelmed by the demands of people seeking assistance that she invents a male alter ego, “Tobacco K ing” Shui Ta, to deal ruthlessly with the business of living in an evil world. The Good Person of Szechwan is a masterpiece of minimalist design and elegance that shines a light on human nature and social mores.